Motivational Speaker, Workshop Facilitator and Corporate Trainer: Andrea Riggs can speak at your event in a number of ways and on a variety of subjects. Andrea’s reputation as a speaker is built on her ability to explore complex topics with tremendous honesty, warmth, and humor. She is a thought-leader, researcher, and storyteller with the rare ability to both inspire audiences and leave them with immediate breakthroughs and actionable change strategies. Andrea as your keynote speaker is a dynamic way to begin your event or meeting to generate enthusiasm and a sense of empowerment. She will captivate your audience with her passion, spot-on stories, and practical applications for your organization’s goals. Andrea’s easy-going manner and in-depth knowledge give any event an air of intelligence, sophistication and fun. Examples of Keynote Address Topics: Awareness Creates Fairness – The 4 P’s of Leadership – 5 Tips on Breaking Through Barriers – Diversity Enhances Productivity – Writing Women Back Into History – The 6 C’s to Create a Life you Love! – Tools for Anchoring Success. These focused settings can provide participants with more time to explore and delve deep into ideas, exercises and processes. Andrea can work closely and personally with a group or team of people to lead them through ground breaking discussions on complicated subjects or teach proven tools and techniques for discovering and shifting limiting thoughts and patterns to expand attitudes and increase awareness. Participants will gain instant insight into their personal strengths and weaknesses and will walk away with positive breakthroughs in beliefs and behaviors that can be implemented into daily work/life balance. Bring Andrea’s keen insights and expertise directly into the workplace. Andrea provides up-to-date statistical evidence and fascinating anecdotal teachings for leadership and diversity training, morale boosting, productivity enhancement and communication improvement techniques for you and your employees. Let’s take it off-line. There is no substitute for learning in the relaxed environment provided by a retreat setting. (The word “RETREAT” causes you to breathe a little deeper and easier.) Retreats create an unprecedented opportunity for focused individual attention in the private setting of your company’s top executives or your events’ participants. Top executives and leaders can receive insightful personal or group coaching with Andrea to achieve new levels of empowerment, innovation and personal fulfillment in all areas of their lives. "Andrea: I am so grateful to have you as my coach. You have helped me dispel the 7 myths to live my life fully and completely: "Flaws and ALL." Because of our work together, I am forging ahead and making major breakthroughs towards my career aspirations and personal goals. What a difference a great coach and mentor can make. "Andrea: The 7 Myth Workshop you presented for our group was captivating and ground breaking. We were on the edge of our seat for the entire day. Your style of delivery kept us focused and engaged. Many members have already requested that you be asked to present for our group again. You made our day an unforgettable success. Thank you." "Andrea: Working with you has changed my life. I’ve been able to finally get those last few credits to complete my college education, I’ve had the courage to apply for promotions at work and I’m back in the dating world looking for my Mr. Right instead of settling for Mr. Right Now. Thank you for helping me move beyond the constraints of so many of the myths that were holding me hostage. I had no idea that I had taken on so many beliefs that didn’t belong to me and didn’t serve me. Now I’m free to focus on the opportunities that await me." "Andrea: Your keynote presentation on The 7 Myths that Sabotage All Women’s Lives was so sincere and eloquent it changed my life. Thank you for taking an extremely complex and intellectual subject and making it so interesting and easy for everyone to understand. It’s people like you that change the world." "Dear Andrea, It was such a pleasure to attend your conference. You present the 7 myth’s affecting us all so clearly and concisely! Thank you for assisting me and many other women with these astounding breaking-throughs. I believe many of us are ready to step into our destiny. Thank you so much for stepping into yours. This is the work that will change all women’s live and the world." "Hi Andrea, Your workshops are full of so much wonderful information and practical solutions for women. I came of age in the early 60s, a time when none of the points you make were expressed openly. Even though we now have the research and many women role models, there is still a long way to go. Thanks for all that you do.. Your sister in the trenches." "Thank you for the workshop you conducted for our group. I learned so much about the myths that continue to plague women today and why they are so pervasive and compelling. It was very eye-opening to discover the myths that hinder me personally. I will now be able to recognize the thoughts and behaviors that stop me from moving forward and I have the tools and techniques to reach my goals." 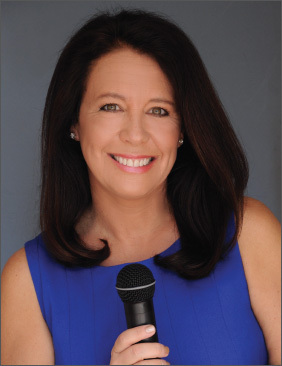 "I highly recommend Andrea Riggs as a speaker and facilitator for workshops, seminars and conferences. Andrea is informative, factual and at the leading edge of the 7 Myths that are holding women back and the methods for overcoming them. Her teachings are innovative, engaging and thoughtful. Her audience will be captivated and experiencing major breakthroughs!" "Andrea: Thank you so much for your 7 Myth Weekend Workshop! I had many "AHA" moments at the event and opportunities to use the material as soon as I got home. I had no idea how all of the myths are so deeply ingrained in our psyches, our social contexts (work and play), and how these messages are continually reinforced all around us. The process for changing is really very subtle, but very powerful. It’s a VERY big deal, and one that I don’t feel has been addressed as head on by anyone more than you. It IS a woman’s issue that we perpetuate these myths for ourselves. I can’t wait for your next event. Sign me up!" "Andrea Riggs has been a regular presenter for the past ten years at Orange Coast College’s Re-Entry Center and for CARATS a statewide organization for adults returning to college. Andrea is an outstanding speaker on motivation, career building, leadership, self- improvement and breaking through barriers in today’s workforce. She is highly charismatic, informative and yet very down-to-earth. She is always well informed and approachable. Students and professionals consistently rate Andrea’s presentations as a top 5 out of 1-5 rating on effective presentation style, useful information, inspiration and communication skills. She is a positive, informative and loving support for anyone who comes into contact with her. I highly recommend Andrea Riggs as a speaker, educator and leader." "Andrea: I have had the honor and pleasure of hosting you at several of the workshops sponsored by my company and at events for other organizations. You are able to inspire, educate and facilitate any type of audience. You have a unique ability to tap into the culture and language of the group/organization’s desires and goals to create a meaningful experience for the participants. Your expertise in the area of "myth work" is unparalleled. You have an extraordinary ability to assist others in the process of discovering the myths that hold them back and empowering them to overcome them to become the best they can possibly be. You inspire so much hope for a future where women are reclaiming their authenticity and operating from a place of pure potential. Your sessions always stand out as superior on the feedback surveys at our events. I would like to thank you for sharing her work with us; it is a true gift. Tracy Heffelman, CEO Ellie/Alice Inc.